Almost time! Viewing party is in full swing! presidentbacon tapes in about two weeks, on November 19. My friend hanzz, whom you might have seen on Jeopardy! and Who Wants to be a Millionaire some years back, tapes the day after and will add to his already-impressive $85,000+ in career game show winnings. I wanna see you all! 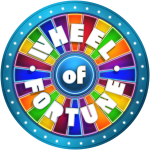 Win allot of money! We're on a roll this year when it comes to members getting the letter! New to this list are woffreak82, iroc24, and Melanie from the Philly audition group. That brings our total to a massive *19* boardies who have appeared/have yet to appear on the show. Look who dropped in! Congrats, courtney2015, on your $23,750 haul earlier tonight! 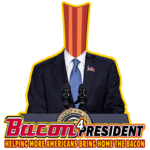 Let's also wish a lot of luck to presidentbacon, who tapes TOMORROW(! ), and hanzz, who tapes the day after tomorrow. And don't forget...look for drakealake next Wednesday (11/25)! Hi, it's Zack, a refuge from NYC, and I wanna play stuff like this! How do I? Go to a Wheelmobile or upload an audition video and wait many many months. I mean, in the fan games. This isn't NGC. This isn't a place for fan games. If all you want to do is play games, I strongly recommend finding another forum to do so on. We've streamlined the list a bit to remove those who have already aired--they can be now be found on the BAV Winners' List. Meanwhile, the wait to find our first player from the blue podium continues, as hanzz plays from the red podium on January 20! The wait is over. I'm on BLUE. OK. Do you know when the sixth episode of your taping airs, by any chance? No big deal if you don't. I do. March 15. And I can say that most of the contestants at my taping were very nice people. Not one, but TWO people to look out for this week! drakealake plays Wednesday, and newbie dale83 plays from the blue podium on Thanksgiving Day (provided you're not pre-empted). Speaking of Dale, it looks like MarioGS has the situation under control, but if you can provide any additional input over in this thread to help him record his big day, I'm sure he'd appreciate it! Retroactive good luck to both of you! Awesome! 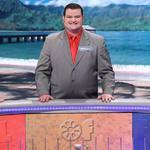 I love Wheel all the time of course, but it's even better when "BAV board-ers" are on! Good Luck to Drake today and Dale tomorrow.